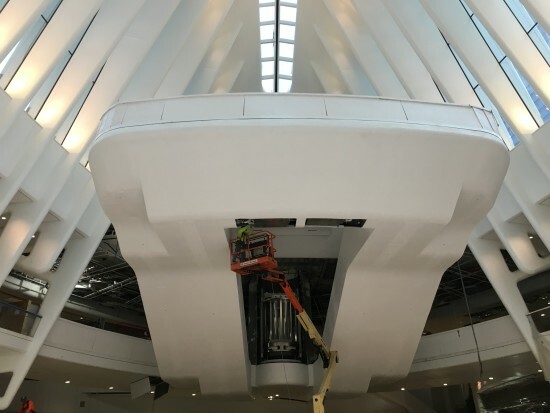 The Port Authority of New York and New Jersey has declined to celebrate the March grand opening of the Santiago Calatrava–designed World Trade Transportation Hub. Why is the agency snubbing its own baby? Because it’s monstrously over-budget. The $4 billion taxpayer-financed project cost $1.8 billion more than expected, and construction extended years over schedule. 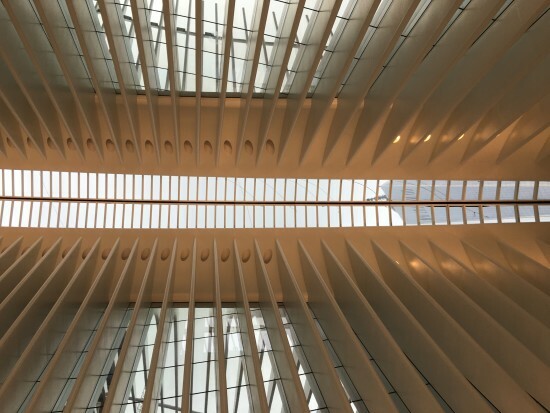 These issues have dogged Calatrava personally and professionally, and cast a shadow on his otherwise bright reputation. I tried from the very beginning to do that whole network of connections extending from the oculus as a single unit. So the character of the structural members you can see with the ribs, and a certain character in the paving, and a certain character in the front of the shops is already delivering a character that a person will see all the way through. So if you are in the oculus or the mezzanine, or in the other corridors to Liberty Street or the other internal streets towards Liberty Plaza, or towards Wall Street or towards Fulton, all these areas are marked with the same character. My goal is to create a space where as soon as I arrive in the transportation hub I know I am in the transportation hub, no matter what corner I enter from. Also, something that the corridor delivers is a sense of quality of spaces. I have built seven of the major transportation hubs in Europe, in Lisbon, in Lyon, in Zurich, in Italy, and so on. Getting out of this experience, it’s very important to create places of quality, because people behave according to that. You see after all the enormous effort to bring all the subways and the trains to this place and see to maintain the service through all the construction—why shouldn’t these places have a certain material and structural quality that you can enjoy in a day-to-day way, not just commuters but visitors who arrive in this place. 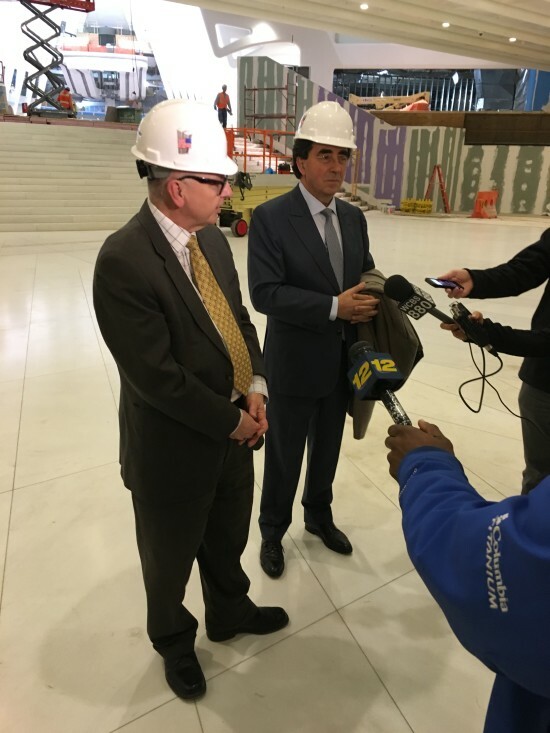 I think the station will match with the tradition in New York of great infrastructural works, as you see today in Grand Central and in the former Penn Station. If it had not been demolished it would be recognized as one of the greatest stations worldwide. I hope people can see some of these material qualities in the East/West corridor. On the eve of the opening, New York architecture critics are divided on the aesthetic and functional value of the Hub. AN toured the Hub this afternoon, so check back here for our assessment. 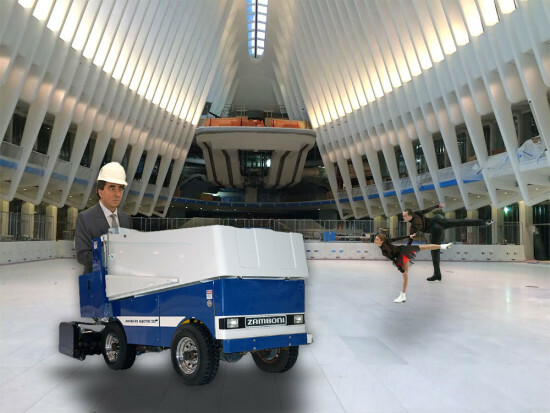 In the meantime, picture Calatrava riding a Zamboni, polishing the smooth white Italian marble floors world’s most expensive train station.